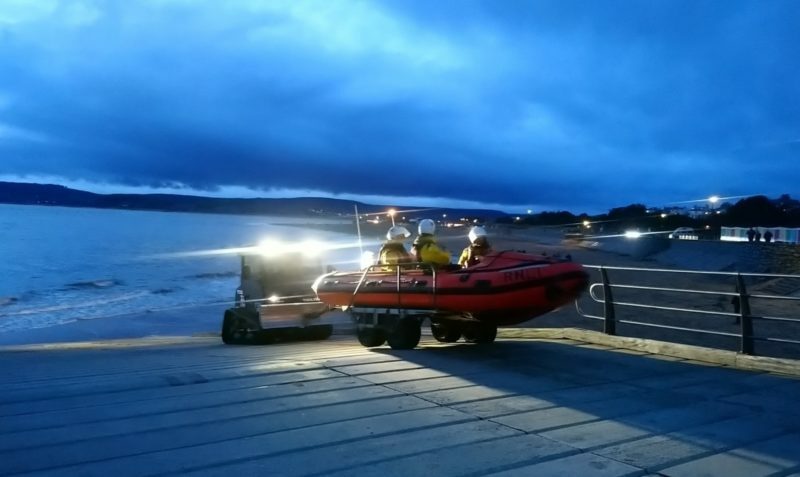 Exmouth’s D class inshore lifeboat launched at 4.14pm on 23 December, following a 999 call concerning a dog fallen into the water at Red Rock, Dawlish Warren. Within six minutes Crew volunteers were on scene. In a notable swell, rising tide and fading light, Crew volunteer Henry Mock jumped in the water to recover the medium sized, black dog called Ted & passed him to the owner. Crew left the scene at 4.29pm and the D class lifeboat was ready for service again at 4.50pm. Teignmouth & Torbay coastguard rescue teams were also tasked. ‘This type of shout has become routine for us and in this case, Ted was exploring the beach, jumped over a wall and unexpectedly ended up in the water, falling around 3 metres. The location was only accessible from the water and there could have been a danger if the owner had attempted to self-rescue. ‘Last year, between 9 December and 9 January, Exmouth’s volunteer Crew were called out to five dog rescues. Unfortunately, one was a fatality. This of course is devastation for the owners but as dog lovers ourselves, it affects us too.